So what happened at Craftiv8? I got an exclusive look at their new work space, which is currently full of new developments and will soon (March 2018) host craft and wine evenings – count me in! 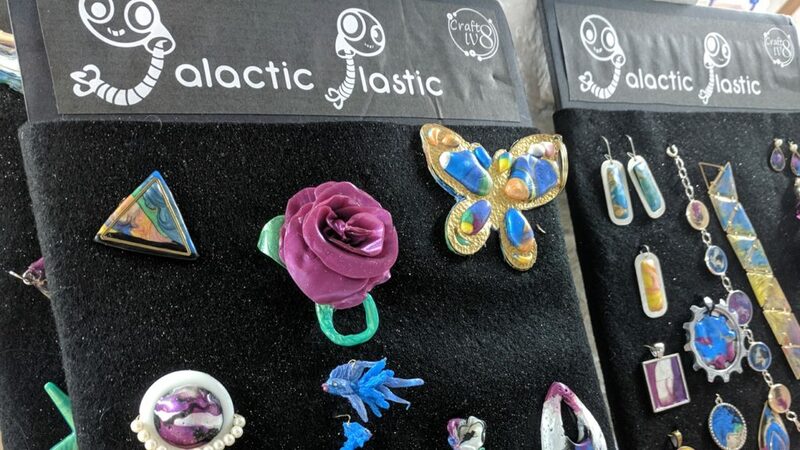 Their new material, Galactic Plastic originated in the medical industry, until Hilary found that by adding different pigments to it that it unlocked a whole galaxy of creativity! I know what you’re thinking – plastic is a no-no right? Wrong. This plastic is so versatile that you could melt it, manipulate it, use it, re-melt it, re-manipulate and re-purpose it as many times as you like. 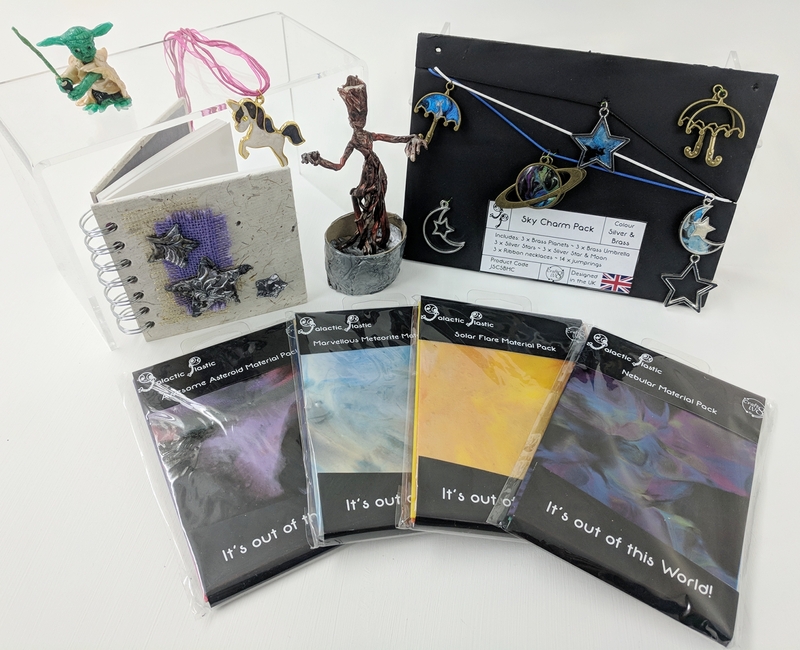 Craftiv8 are even working on a way to take it back (in exchange for a discount voucher for future products) to redye into black plastic for future use in it’s original purpose- for use in the medical industry. So how does Galactic Plastic work? This plastic has a melting point of 90 degrees, meaning it can be moulded and then reformed into well… anything you can think of! This stuff can stick to fabric, card, other plastics, glass, metal wiring so it makes it extremely versatile. They have packs of plastic for you to do with as you will, jewellery craft packs, plus a controlled hot plate they developed themselves. You can use it for jewellery making, card making, scrap-booking; you can cut it with scissors or cookie cutters, indent it with stamps and emboss it with stones…. …making clothes and accessories (you can seal fabric with it instead of sewing), costume making for cosplay (ideas included a fully scaled, full scale mermaid tail)… The only limit is your imagination! With such an amazing new innovative product, I am really excited to see what uses people find for this product!